Last edited by Marschallin Blair; Sep-13-2014 at 20:51. Finally 30 years after CD format released to mass market the sound guys are figuring out how to make them sound better? Last edited by DarkAngel; Sep-13-2014 at 21:21. Horse-and-buggy to Model T to Ferrari to Maclauren F1 to Bugatti Veyron to Warner-re-engineer-of-Callas. Last edited by Marschallin Blair; Sep-13-2014 at 21:35. Will you be keeping or selling the brown box DA? I wonder how the Amazon sellers price will be. I'm still working on completing my Klemperer update. Last edited by Itullian; Sep-13-2014 at 22:28. Last edited by DarkAngel; Sep-13-2014 at 23:35. A little bad news Callas fans. I emailed Warner classics and asked them if they had any plans to do a LIVE Callas recordings set. They said, unfortunately they have no plans to do so, but if that changes they'd let me know. There is one completely new album in this boxset called "pure" which is a 1 CD hits collection taken from newly remastered material, but I didn't like the track selection at all......to many French and offbeat songs, La Divina is the goddess of Verdi, Bellini, and Donizetti! Last edited by DarkAngel; Sep-16-2014 at 03:28. ^^^True, I'm greedy, greedy, greedy when it comes to greatness. True DA, but it will be nice to hear her takes on this other material too. Last edited by DarkAngel; Sep-16-2014 at 04:10. -- as far as the pictures go, certainly. First, a giant coffee table book with black-and-white pictures cataloging her operatic career with snippets of reminiscences from the people who knew her best: Visconti, Zeffirelli, Simionato, De Stefano, the lot. The beautifully composed narrative written by Ardoin reads like something an intelligent museum curator would put together. Absolutely first-rate in every way. I've spent hours and hours pouring over this wonderful book, lying in front of my stereo, propped up on my elbows-- the most wonderful experience imaginable. 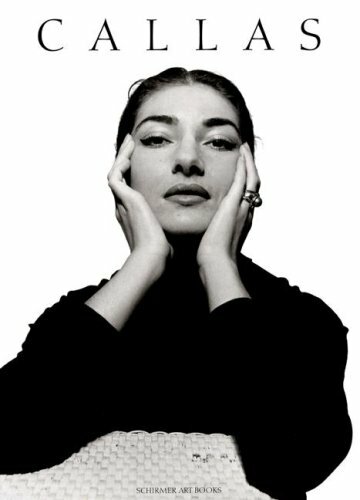 -- And of course, The Callas Legacy. Aside from Talk Classical's own Greg Mitchell, quite simply the Bible of intelligent musical criticism on all of Divina's recordings. Last edited by Marschallin Blair; Sep-16-2014 at 05:04.